The Backgrounds Unit serves as the “gatekeeper” to access the Jail facility. Before an employee, volunteer or contractor is allowed entry into the jail, they must undergo a thorough background check. 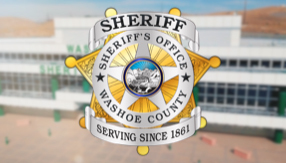 This is necessary to maintain the security of the facility and to ensure that the candidates hired by the Washoe County Sheriff’s Office have the ethical and moral standards required to work for a law enforcement agency. The purpose of the background investigation is threefold: to learn how an applicant has behaved under a wide variety of circumstances (and from this, to base a prediction concerning future performance as an employee), to verify all statements made by an applicant in his / her application and to prevent this Office from hiring a person who will prove unqualified. At a minimum, the background investigation will cover the applicant’s qualifying credentials, family data, education, employment, medical and military history, residences, organizations and affiliations, personal references, credit record, and criminal history. The Backgrounds Unit coordinates the Physical Abilities Test (PAT), conducts pre-employment and security background investigations, schedules medical and psychological appointments, as needed, and administers the Computer Voice Stress Analysis test.